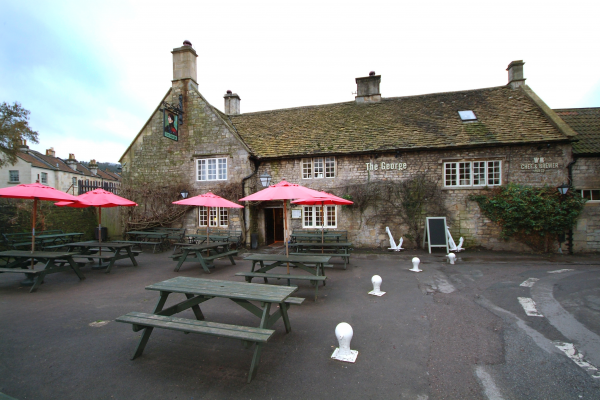 This picturesque, ivy-clad Grade II listed pub is perched on the bend of Mill Lane in the Somerset village of Bathampton. Across the road sits St Nicholas Church, while the Kennet and Avon Canal ebbs gently past the pubs spacious beer garden. Visitors will often find pretty canal boats moored next to the pub, their owners coming ashore to sample delicious British classics, fine wine and cask ales. 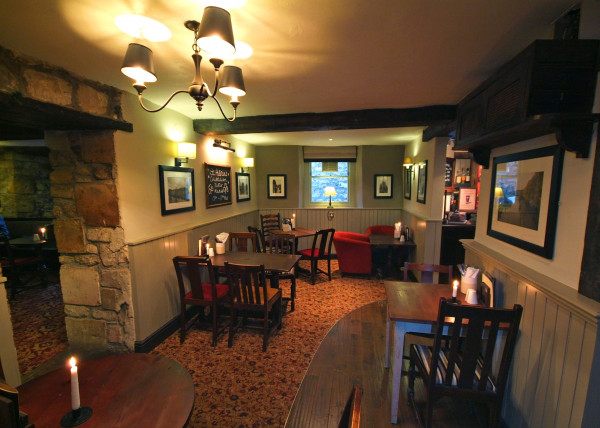 Yet the pub boasts bags of character indoors too  the kind that comes with age, not design. On chilly days guests will love the low ceilings, creaking beams, nooks and crannies, or to take the weight off in front of real log fires. 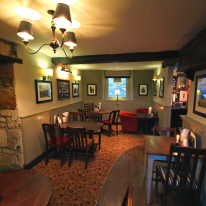 The George Inn offers a special kind of cosiness, thats best enjoyed over a romantic meal and a glass of wine. Very nice, staff attentive, pleasant meal, good choice. Would recommend.